The Custard TV: EastEnders confirms two new regulars. EastEnders confirms two new regulars. 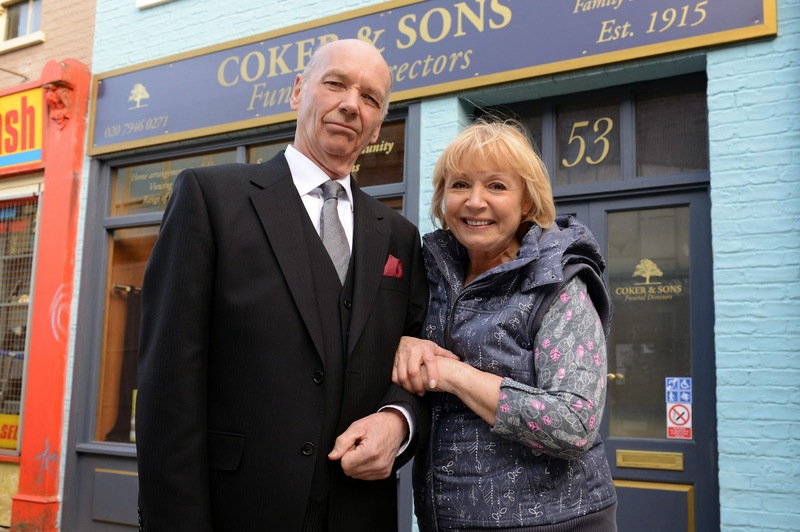 Les Coker, played by TV veteran Roger Sloman, is to become a permanent EastEnders character as he opens new premises on Albert Square. And Les isn’t alone – he’s joined by his busybody wife Pam, played by Lin Blakley. The pair will arrive on screen later this month. Les will be a familiar face to EastEnders viewers who will have met him when he organised Pat’s funeral. Now he’s back and already up to his neck in the intrigue surrounding Nick Cotton’s demise. The residents of Walford had better watch out because Les will not only bury your loved ones, he’ll bury your secrets too. We’ve already seen him in deep with mysterious Charlie Cotton but just how far is Les willing to go for money?